For this session we took a look at life around western Eurasia and the eastern Mediterranean, broadly around the time of Alexander the Great's life. By the 300s, when Alexander lived, Greece had become the Hong Kong of the western world If it was wanted - if it was novel, shiny, lovely and desirable - well, the Greeks could make it and ship it to your door. Despite a homeland so short of resources that most of its young men emigrated out, year on year, to find new lives abroad, Greek workshops captured the hearts and minds of the fashion-conscious. Greece exported its skills. It's skilled workers, it's finished products. 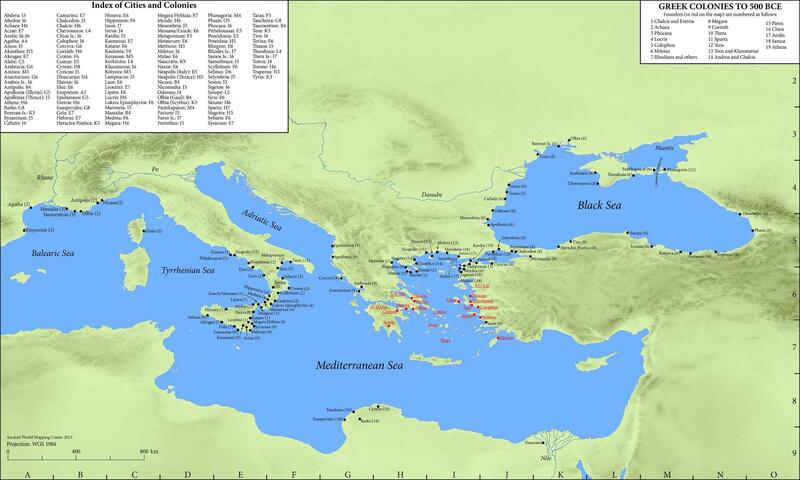 And along the same trade route, new skilled workers flowed into Greece's heartland and colonies. Gem-cutters, textile weavers and dyers, metal smiths came in from Baghdad, from Egypt and from beyond the Black Sea, either as free men or slaves, and the workshops' output was phenomenal. In fact so desired were Greek fashions, that they have the effect of making other cultures disappear. It is quite difficult to extract Phoenician and Etruscan on the basis of artefacts, as they were all buying into the same fashions. Take a look at the Alexander Sarcophagus, which amply shows the sheer glitz and wealth of the Levantine society of the day...and the apparent absence of partisan feeling about 'Greek or Persian' - it looks like it was the style and the excitement that the unknown client wanted. Greek coinage became the model for the western world. Even by the 300s, the city of Carthage was minting its own 'shekels', which look just like Greek drachmae. While coins were made in huge numbers, it's debatable how deeply they penetrated society. In large towns, coins were certainly 'common currency' , pardon the pun. But taking the wider view, despite there being very many Greek towns, most people were still rurally-based, and barter would predominate here. Alexander left us a nice breadcrumb-trail of his coins, as far as the Indus Valley. Here is a video of how coins were produced at this date - relatively simple technology, the skill being in making the dies, and of course, stopping the blacksmith pocketing a few.